The Zinus Green Tea Memory Foam 1.5 Inch Mattress Topper will enhance the comfort your mattress with conforming, supportive memory foam. 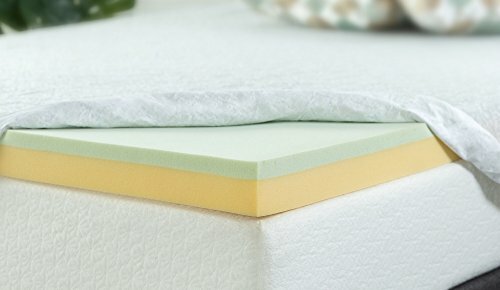 A cover is not included as our memory foam topper can fit under any standard fitted or deep-pocket fitted sheet. The latest evolution of memory foam, Biofoam replaces some of the traditional petroleum with natural plant oil, and includes natural green tea extract and all natural active charcoal to help absorb moisture, eliminate odors, and keep your mattress topper fresh. 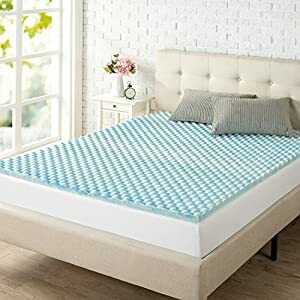 Please open your mattress topper package within 72 hours of receipt and allow 48 hours for your new mattress topper to return to its original, plush shape. Worry free 5 year limited warranty. Another comfort innovation from Zinus.